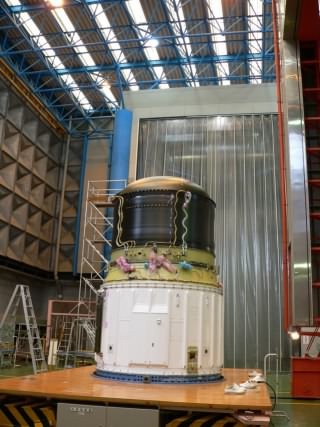 After the final inspection and maintenance, Astro-E2 was moved from the satellite clean room to the clean booth, where it will be connected with the third-stage rocket. 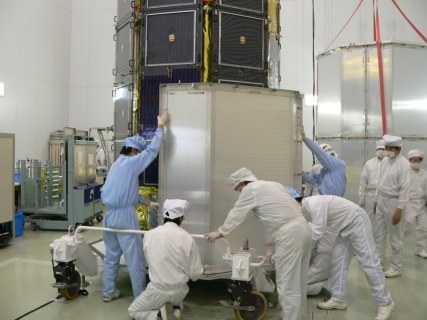 Photo 1 shows that protection covers are attached around the Astro-E2 satellite on the transportation dolly. 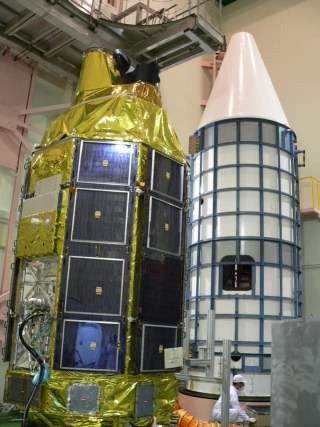 After everything is ready, Astro-E2 left the satellite clean room, and moved to the clean booth across the M assembly building (Photo 2). Photo 3 shows the Astro-E2 satellite after settled in the clean booth. Behind the satellite, you can see a white cone. This is a nose faring of the M-V rocket. Note that the blue structure is a jig, not a flight item. 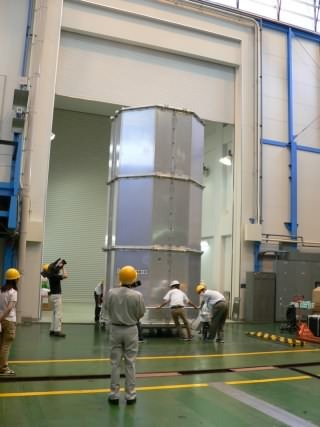 The third-stage rocket is also ready. The black part in Photo 4 is the third-stage rocket. The white cylindrical part is the top part of the second-stage rocket, and covers the third-stage nozzle.